…but don’t know how, when or why? Because of limited venue seating, and the super-coolness of the topic, this event will require Eventbrite pre-registration. AES Members will have priority seating, first-come, first-served. Laid-back stop for Neapolitan-style pies, pastas & other Italian fare, plus beer, wine & cocktails. On Tuesday April 23rd, we’ll explore the world of dynamic compression in audio. 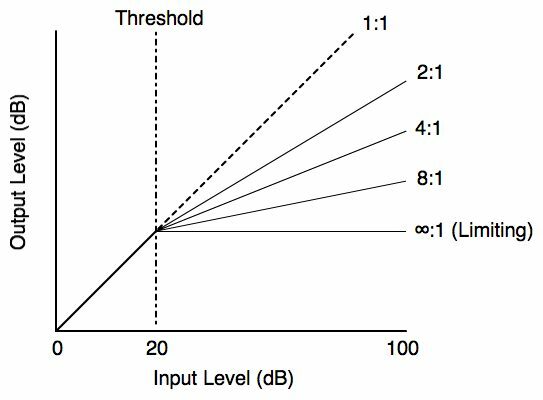 The quality of a delivered audio signal’s dynamic range can be controlled with precision though dynamics processing. We present three confirmed speakers to members (check back for updates). Frank Lockwood: Recounting his own first encounters with compressors, with some suggestions for evaluating their effects (see below for meeting resources). Adam Robinson: Compressing 24/7, remotely controlled. Over the air broadcast compression in 2019. Bryan Martin: LA2A Hardware and Plugin Investigation. Explore the history of the LA2A Compressor’s circuits. 1. an electrical amplifier that reduces the dynamic range of an analog signal. 2. An algorithm that reduces the dynamic range of a digitally encoded signal. Owner and operator of Lockwood ARS, a Toronto based company which has provided high quality recording, editing, restoration, mixing and mastering for clients across Canada and the United States, Frank Lockwood has been involved with music and technology for over thirty years. A graduate of McGill University’s prestigious Master’s Degree program in Sound Recording, he spent two years at the Banff Centre’s Music and Sound Division in a postgraduate residency before moving on to work with the C.B.C., and teaching Audio Technology at the University of Calgary, the Southern Alberta Institute of Technology and Ball State University in Indiana. His audio work has appeared on CD, tape and LP, radio, television and feature films. Further information, pictures and examples of a wide variety of audio productions can be found at http://LockwoodARS.com. 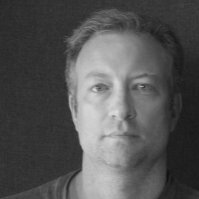 Adam Robinson is Vice President of Operations for Ron Paley Broadcast and DJB Radio Software. Based in Toronto, Adam has recently made the transition to “the other side of the business” where he works with numerous radio clients to facilitate Wheatstone and DJB Software installations across Canada. A 25 year veteran of the radio business, Adam got his start in front of the mic as a “newsie” at various stations in and around Toronto. 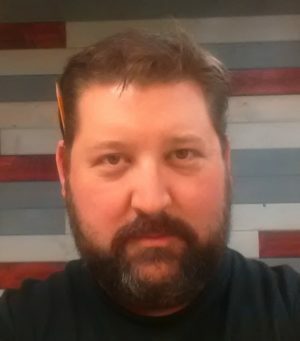 While on the air full time, Adam also honed his craft behind the scenes and in 2006 hung up the mic in order to focus on the expansion of Evanov Radio from three to 19 radio stations in a little more than a decade. With 10 ground-up station builds and numerous refurbishments of studios and transmitter sites from Winnipeg to Halifax under his belt, Adam now uses his wealth of experience to find creative and cost-effective solutions for all broadcasters. Adam is a member of the CCBE Executive and is currently in charge of papers and panels for the annual conference north of Toronto. A self professed audio geek, Adam spends his “free” time tweaking processing, reading up on advances in audio codec technology and marrying new sounds with his suite of vintage gear. Fun fact – even bad MP3’s sound OK when run through a CBS Audimax! 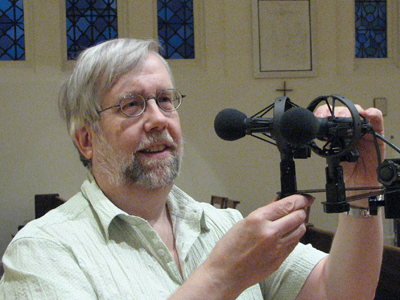 Bryan Martin is a Grammy and Juno Award winner, and researcher in spatial and 3D audio. Throughout his career he spent far too much time in lightless studios producing and recording anything that made a noise, worked with some interesting artists—David Byrne, Max Roach, Run DMC, Richard Hell, the Pretenders, wrote a lot of music and traveled the world—all the while cultivating bad habits and an unhealthy complexion. For my Presentation, I have made a set of Test Signals, which I’d like to make available to interested attendees. I’m also using a couple of free plug-ins, some drum samples, and the Pyramix DAW which I’d like to point to as well.